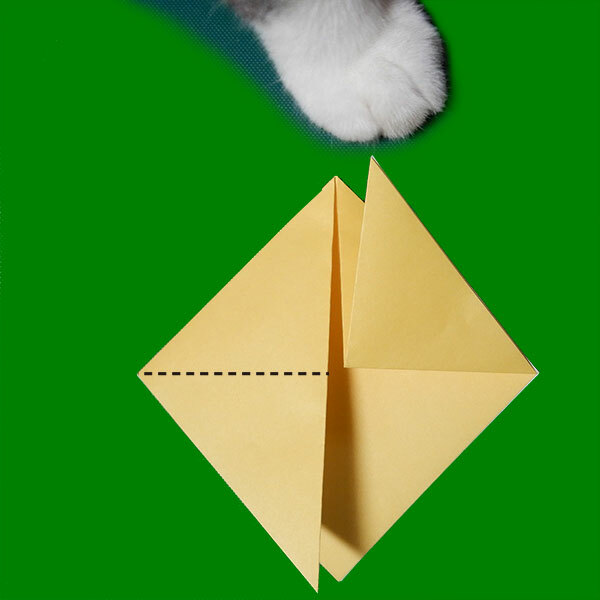 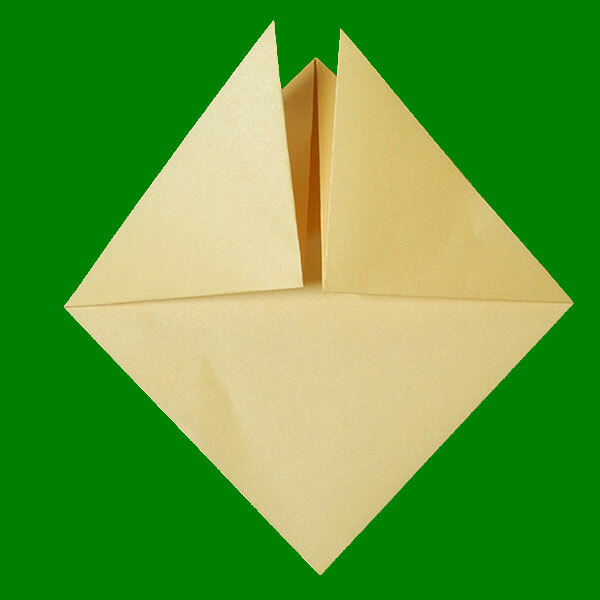 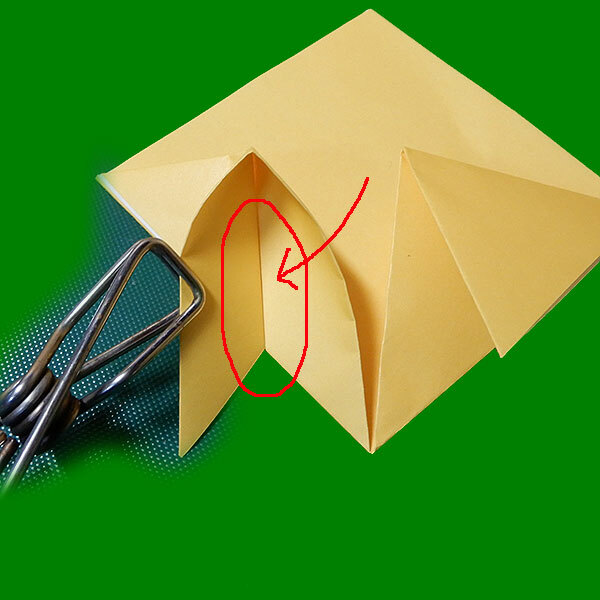 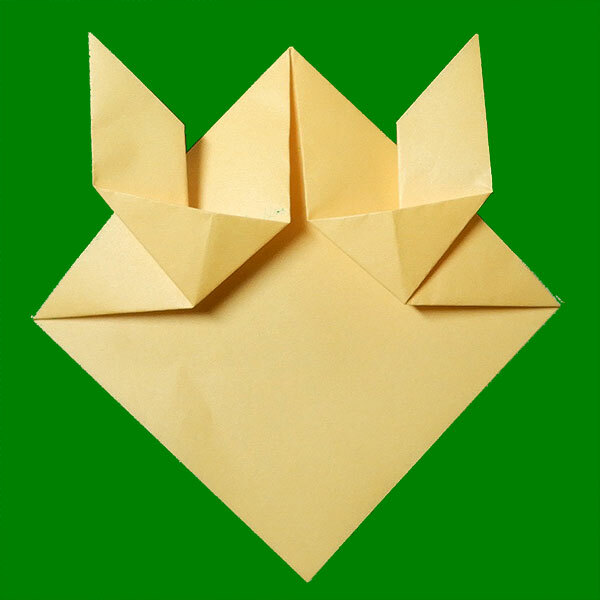 Mountain fold the paper in half. 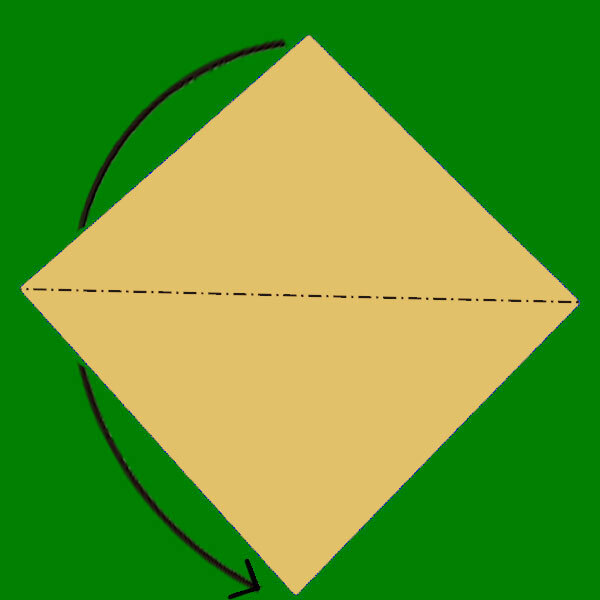 Valley fold both corners down. 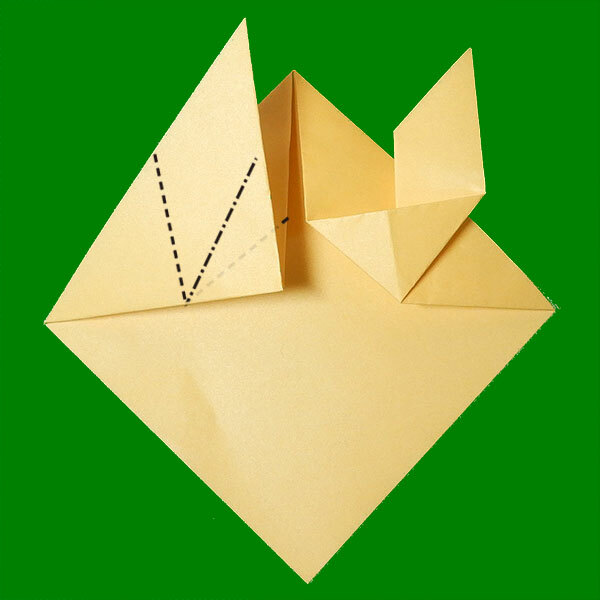 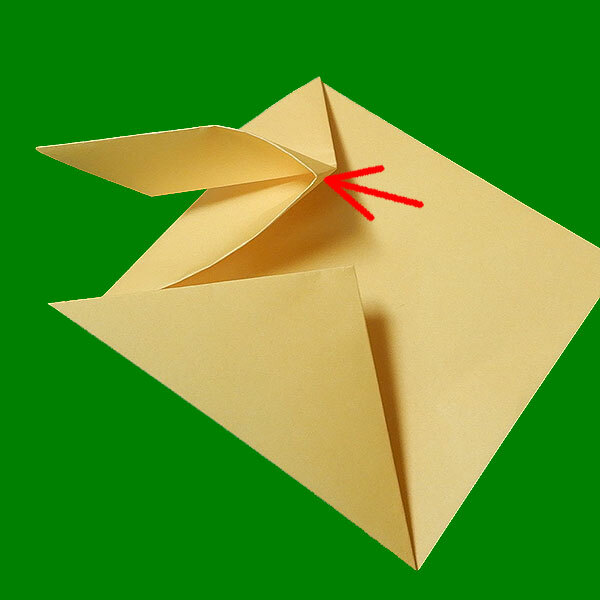 Valley fold both flaps up. 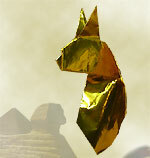 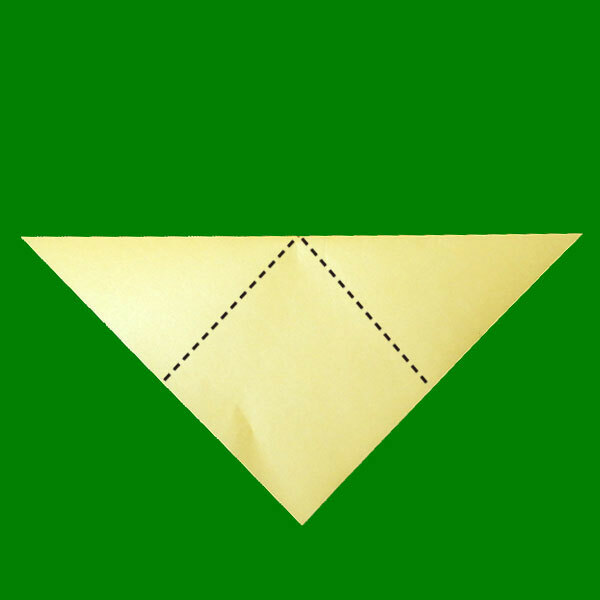 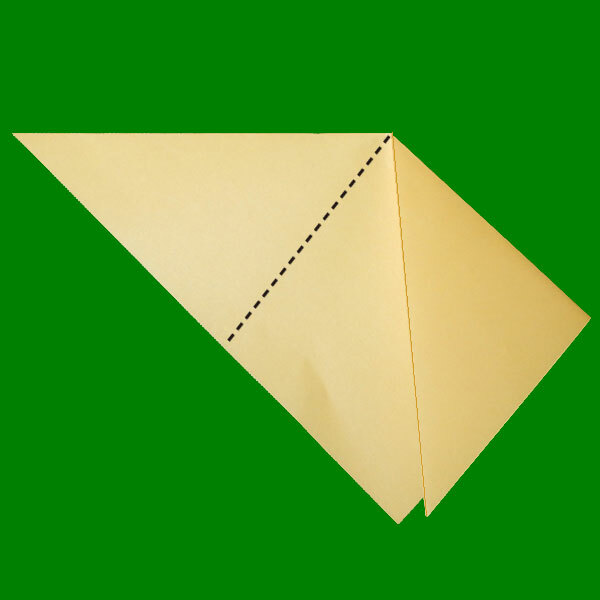 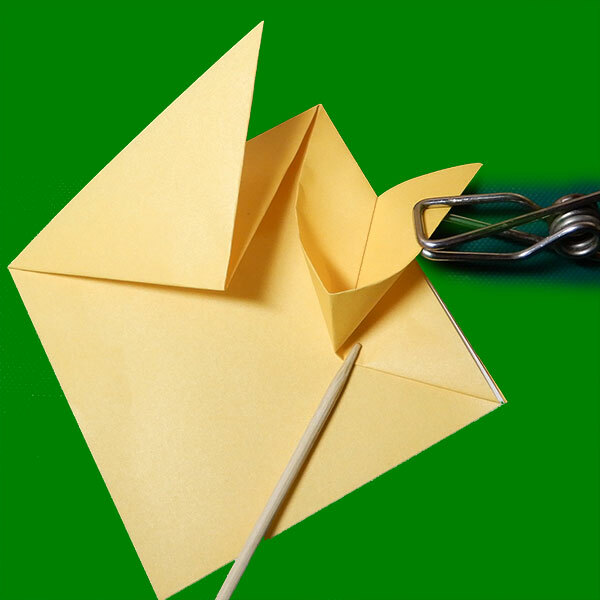 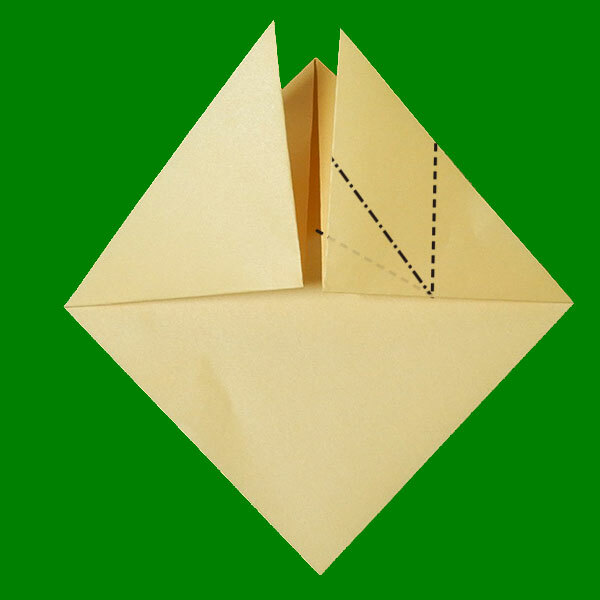 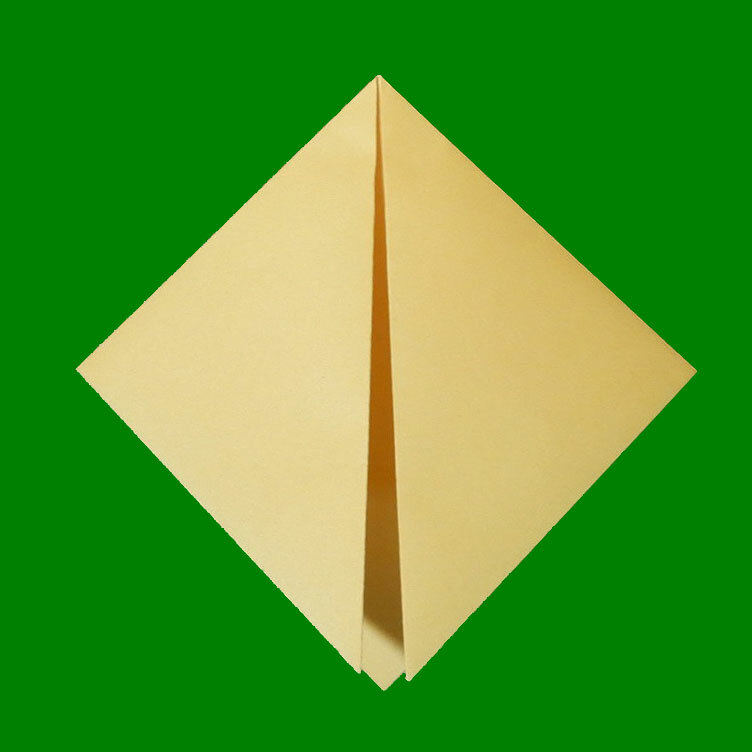 First, fold as shown and press the red-lined part well. 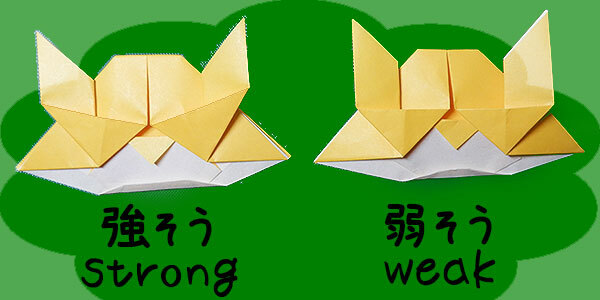 To make your Samurai look stronger, slightly "slant" the eyes. 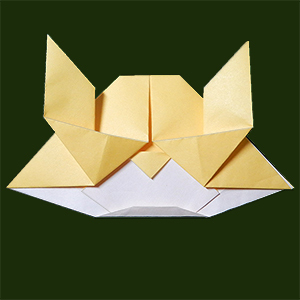 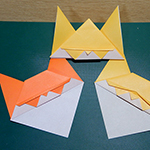 Fold the other side and complete the eyes.